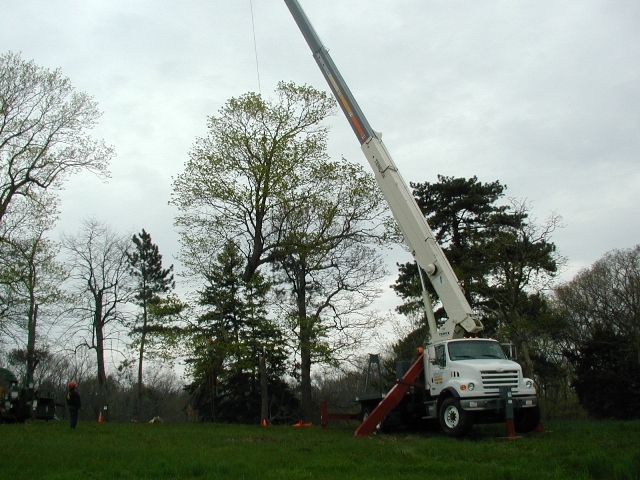 Tree removal can be a necessary part of a sound landscape management program. Removal is thought of as a last resort measure, but many trees must be removed for safety, and to make way for younger, healthier landscape plants. Contact our office to meet with an arborist. We will assess the health and structure of your trees and make appropriate recommendations. We have all the equipment and skills to remove any tree, any where. Close Quarters: Although ArborCare prides itself as a plant preservation company, we are also experts at large and dangerous tree removals. 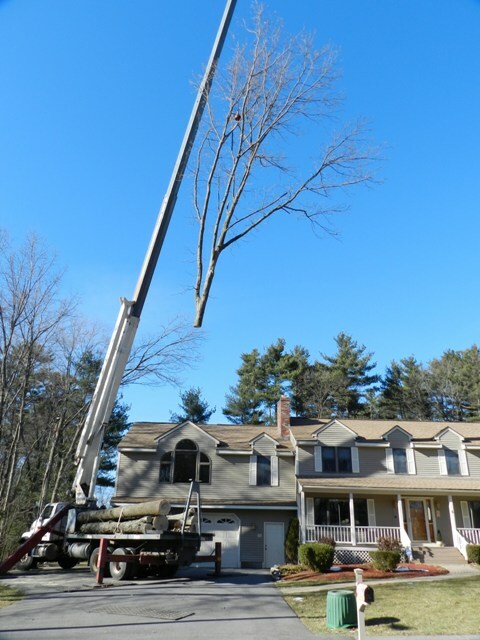 When a tree is deemed hazardous, and there is no other solution, our men will perform a clean and efficient surgical removal of any tree from your property. All aspects of removal detail will be discussed prior to the job so that you and your neighbors will know exactly what to expect when the job occurs. Stump Grinding: Many customers need only to remove a tree to the ground, but in other cases, the area may be in need of landscaping in which a stump should not be a part. On request, we will finish the job with one of our stump grinding machines. Depending on the location and type of stump, we will grind out all visible portions of the stump nearly a foot below grade. This will allow for a deep bed of new top soil, and the ability to install a variety of new plants. Hazard Tree Evaluation: If you're unsure whether a tree on your property is a hazard, be sure to have a Massachusetts Certified Arborist give an expert evaluation. Not all tree companies are experts in hazard tree evaluation and may recommend removal of a tree that you would prefer to keep. With proper pruning and bracing, many trees can be made much safer and remain an important part of your landscape. Remember to consult with a Massachusetts certified arborist.